Talent Hunt was organized for PGDM 2017-2019 Batch on 12th August, 2017 by Cultural Club JIMS. The event was about show cast one's talent in front of the audience and compete. It started with a warm welcome of the Director, Dean and other faculties. 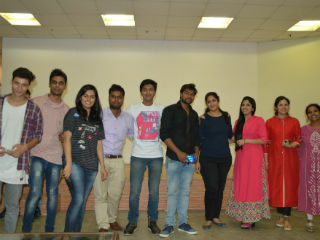 The show was initially hosted by Mayank and Divya, who entertained the listeners with their humor . Students took part and unleashed their talent one by one. 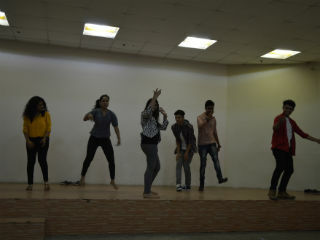 Participants entertained the audience by their dancing, singing, music and other performances. 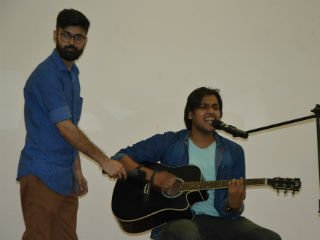 There were filler performances by the Cultural Club members as well. The students also participated in interactive games organized by the cultural club . 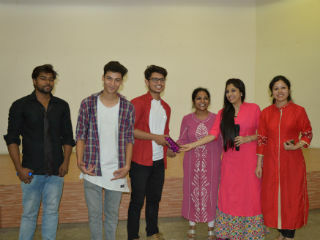 The first and second positions was bagged by Brijesh Kushwah and Ayush Rawat PGDM Sec B respectively and Ayush in solo dance, Shraddha in singing, Shubham in instrumental & Devashish in dance won prizes in the same .The event was entertaining, refreshing, well appreciated and enjoyed by everyone. The show ended with the Bhangra dance performance by students which made everyone tap their feet and groove to the beats and rhythm..